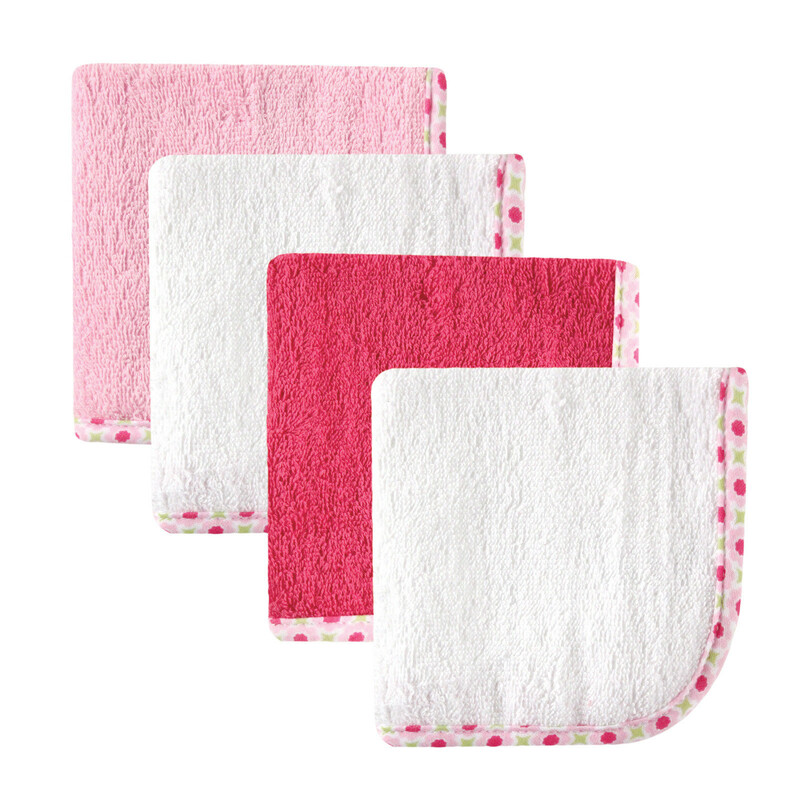 Hudson Baby Washcloth 4 pack is made of super soft and extra absorbent 100% cotton terry. Perfect for washing baby. The set features a colorful print binding and is available in 4 designs. The washcloths are 10 x 10 inches. 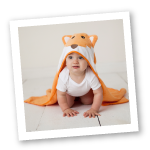 Check out the coordinating hooded towel and washcloth set by Hudson Baby.